If you want others to open up and be vulnerable, set the example. Too often I have seen insecure leaders use humour or cynicism or share inappropriate stuff that makes everyone squirm. Leaders are the model for others. If leaders are insecure, unsure, fearful, or unwilling to risk themselves and share something personal, you can be sure that the entire church, group, or class will reflect that. For example, when you ask people to share their personal story (#5) focusing on a specific topic, the leader should go first. This helps people understand expectations and open up with their own stories. As you provide a living example of growing faith through relationships, people will follow. It is very important that the leader be in tune with how others may be feeling and then take the lead in making them feel genuinely comfortable sharing part of their life story with the others. There is more power in eating together than most of us realize. A Gallup survey explored the link between friendship and faith, and the research revealed that church attendees who share meals together experience higher church satisfaction. Those who share meals together are three times more likely to say that they are highly satisfied with their church. 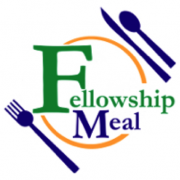 This can be called “banquet friendship,” which is the resulted when people left behind “the divisive social rankings of outer society and in effect [formed] a new society with new social rules.” Jesus rocked cultural barriers simply by eating with others and forming community as He did so. By sharing food, your church can break down social barriers to create common experiences that “form a new society.” Bring on the potlucks, barbecues, snacks, and dessert. Just smile! Offer others the gift of a smile. Not only does a smile convey warmth and the beginning of radical hospitality, it also makes YOU feel better You have heard it said, “If you have the joy of the Lord, tell your face.” One often wonders if born again believers are baptized in lemon juice as they seem to seldom smile and are always talking about their problems. 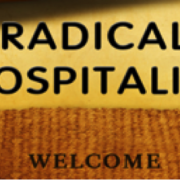 We have been talking about radical hospitality. It might be good to go back and review all the blogs written over the past three weeks or so that were dealing with this much needed change in lifestyle that can win many to the Lord. It is an act of love towards those who are born again and those who are still searching for meaning and purpose. But, remember that even in an age of “instant everything,” radical hospitality takes time. Be willing to invest in someone’s life for the long haul. Embracing the maxim “You are welcome just as you are” means trusting God’s timing, purposes, and processes. Just as it takes time for a tree to grow, for fine wine to age – for any masterpiece to be created – relationships developed through radical hospitality take time. The bottom line of radical hospitality: Be a friend. Don’t even think about what a church should do. Do what friends would do. It’s the hospitable thing to do. And these days, it’s the radical thing to do. As we continue to look at changes that need to be made today in the church so we can see God move and touch lives and build His Church … we will be looking at FEARLESS CONVERSATIONS. Today let’s look at several other things that we can focus on to help others to become part of the life of God as expressed and experienced in the local church. The greatest marketing tool we have in the Church that Jesus is building is the words spoken by a “satisfied customer.” Those who are connected to and appreciate the life that they find in a local church speaking to and inviting others is the most powerful way to attract people to the Church and eventually to the Saviour. By far and away the most powerful attractor to church is word of mouth – a friend inviting a friend a family member inviting a family member. So, instead of mail-out flyers and fancy advertising gimmick simply encourage family and friends to invite THEIR family and friends. But make sure that what you are inviting them to is something more than a cliche of church. We need to be constantly reminded of the importance of a personal touch as seen through a personal invite to attend. People of all ages love to hear others use, remember, or call their names. Instead of making excuses for not remembering names, find ways for you and your leadership team to improve and always remember a name the first time that you hear it. Then, help everyone in your church to learn and remember each other’s names. Wear name tags, if needed. Do mixers and icebreakers every time that you get together. Play simple games that encourage people to use their names. Say a person’s name every time you talk to them. It’s affirming, and no one can get too much affirmation. It is important to give people nonthreatening ways to learn about each other. The easiest way is to simply ask people to share something about themselves that can’t be interpreted as right or wrong. It’s a part of their story – their personal history. Children and adults love to talk about themselves. In fact, we are our favourite subject of conversation. So we can incorporate a “tell about a time…” segment into our fellowship time together. Simply find ways to ask people to tell about their lives. The beauty of this technique is that people can choose to share at whatever level they find comfortable. It is like deciding which end of the pool you want to enter – the shallow or the deep end. It is up to you. When was a time in your life when someone would have described you as a “glass half-empty” sort of person? Tell about a time when you struggled to forgive. What happened … and how do you feel about it now? People are an important focus in the church that Jesus is building. And we need to concentrate on ways to make people feel welcomed and important. It we are hoping to practice radical hospitality, which is a sure sign of our love for others – both Christians and non-Christians – we need to be aware of some things that help people connect. Let’s look at a few of the key ones briefly in the next day or two. There are some key words that we use that we need to remove immediately. These are what we refer to as speaking Christianese. The primary problem with using Christian “code words” is that most unchurched people have no idea what we are talking about. This makes new people feel like outsiders. If we’re to find common ground and eliminate barriers to relationships, exclusive language has to go. In this area we need to look at acronyms, abbreviations, nicknames, pet names, long words, and doctrinal terms. Anything that ‘regular people wouldn’t understand needs to disappear for good. And, if you need to use a specific church, Bible, or liturgical word then it needs to be immediately defined and explained as soon as it is used. So, there are many words we need to choose to eliminate. Another aspect of the power of language is to carefully choose which words we are going to use. We need to look at the words that we use and see if they are helpful in communicating what we are wanting to say. For example, people may be ‘guests’ and ‘strangers’ as they approach the assembly but once they walk through the doors for the second time they are our ‘friends.’ This communicates that we appreciate them and that we are all in this together. When we communicate we must understand that it is not about sounding academic or profoundly knowledgeable. It is simply about doing your part to build a relationship. There is great value in taking time to build relationships – even with those who have known each other for years. Discovering something new about another person never gets old. 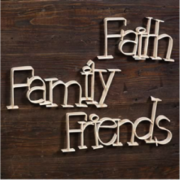 Building relationally means befriending people and taking the time to get to know them. Even asking probing questions so as to get to know them better. 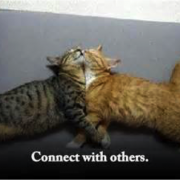 Befriending and showing we are interested in others will build rapport and trust within the relationship. We need to be intentional. Relationships don’t just happen. Just because people are meeting in the same location doesn’t mean relationships are forming. Relationships take deliberate thought and leadership. Don’t count on technology to do the work for you, either. Sociologist Sherry Turtle, author of “Alone Together,” worked in the forefront of technology before seeing the unintended consequences of the internet, social media, and cell phone communication. Make personal relationship building a priority every time people come together. Genuine, fully engaged, face-to-face time is what really counts. Let’s look at some practical ways to love people while practicing radical hospitality; hospitality that shows people that we genuinely love them. Howard Schultz, chairman and CEO of Starbucks, says that when setting out to create an atmosphere for selling coffee, his team researched the vibe people longed for – a comfortable “third place,” a place conducive to relationship building. Their research had nothing to do with the menu, prices, or where the coffee beans are grown. 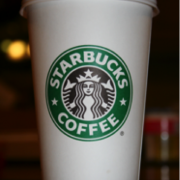 “I see a deep sense of community,” Schultz says about the Starbucks environment. “We’ve intended, from day one, to really kind of build a third place between home and work. And really, I think at a time in America where people are hungry for human connection, we’re providing that.” And, it is not just America and Americans that are looking for that third place between home and work. Churches take note. We need to be a comfortable place – a special place – for people to mingle and hang out. But, more than this, it needs to be a physical centre for real ministry. Marshall McLuhan, a famed Canadian philosopher who was well known and respected back when I was taking my first degree in the 1960’s stated, “The medium is the message.” He understood that the WAY we communicate is more important than the things we actually say. In the case of the church environment, we should never underestimate the significance of ‘territory.’ We must have a territory that will foster the intimacy that personal relationships require. The church that man is building; the one that leaves the Holy Spirit out of most of its planning and events… has many false aspects of radical hospitality. 7> A strict list of “approved” stuff. Churches are notorious for their lists of do’s and don’ts concerning food, music, dress, looks, jewelry, tattoos, piercings, whatever. All these rules exclude others and are just one more sign that we’re judgmental and have our priorities wrong. And they are more often cultural then biblical. 8> Scripted. Radical hospitality doesn’t make use of a rehearsed script outlining four spiritual laws or the sinner’s prayer or cliches. Rather, it entails genuine conversations in which we rely on the Holy Spirit and trust God to act through us as we interact with others. People will return with their questions and doubts if there is a safe, relational setting where God shows up in a fresh way – through unscripted conversations with real, authentic people. And, as we invite people to our assemblies and events we too should be looking at their heart and not their life-style, clothing, hair, tattoos, or whatever it is you happen to be against in the culture of the day. Warmly receive people for who they are and where they are in their journey of life. Don’t expect them to act like or believe like a Christian until they become Christians. And even then, don’t make them into your image as a lot of what you believe about lifestyle is simply cultural and not biblical in the least. Radical hospitality is a basic, foundational necessity if we are hoping to be helping Jesus build His church. The Church that Jesus is building is, in many ways, vastly different than the one that man has built. Radical hospitality is a real key to be a warm, loving, accepting place where people can bring their doubts and fears and ask their questions. Much needs to change today if we are truly going to practice radical hospitality. And, these changes must be well thought out and intentional. 1> Greeters at the door. Well-meaning churches think if we plant bodies at the church doorways, we have accomplished our mission of hospitality. Too often, official greeters are completing a task that they have been assigned – to smile and shake hands. There is nothing sincere or relational about that checklist duty. 2> Meet-and-greet time in the service. Some churches ask people to greet each other somewhere near the start of the worship service. Some call it the “passing of the peace.” If you are near and dear to those around you, it can be sort of fun and semi-fulfilling. But if you are surrounded by strangers, it can be awkward and stiff. The hope that this portion of the service demonstrates warmth and friendliness may be more the leader’s wish than reality. No relationships are formed during these fruitless 15 seconds. 3> Coffee and donuts or an expresso bar. A great idea and always a nice treat. But the presence of goodies in itself does not translate into radical hospitality. Refreshments must be accompanied by sincerely friendly people. Too often church coffee time devolves into cliques, and new people are, often unintentionally, excluded from the circles of conversation. Installing a coffee bar is only half a step in the right direction. 4> A come-to-our-deal event. Churches have outdone themselves in finding creative ways to invite new people, advertising everything from comedy shows, special speakers, and fun events which include a free give-away. As outgoing and robust as these outreach efforts may be, they are still inviting people to OUR thing, which communicates that it is about us. Outreach events are fun, but they don’t necessarily result in changed lives or even lasting relationships – even if an altar call or gospel presentation is tacked on. We may like to count noses, but radical hospitality is much harder because it requires genuine investment in the lives of others. 5> A bait and switch. People not connected with the lord have built-in radar to detect this. The who don’t see value in church are doubly suspicious of invitations or relationships that seem inauthentic. If we are inviting people simply to get them saved (gaining a notch on our spiritual belt) then people will detect that you are really not interested in them as a person and that they are simply a target for your gospel presentation. Beware: People in authentic relationships are in them for the long haul. And they are in them for the right reasons. There are some common expectations people have when you invite a friend for coffee. So, if you want to build a relationship, do what a real friend would do. 6> Guestbook signing. This may be great when you are entertaining people in your home (although this practice is dying quickly, it seems). But, churches that rely on guestbooks to capture guests and their relevant contact information may not be capturing much of anything.